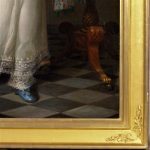 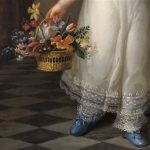 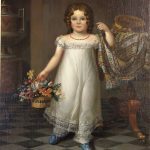 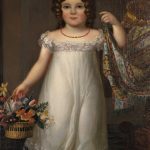 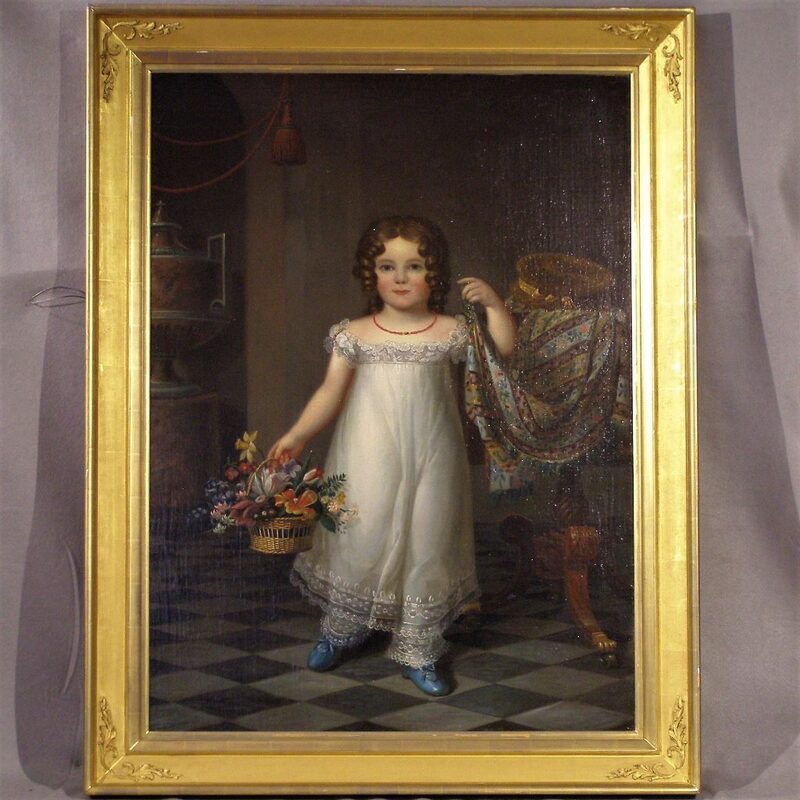 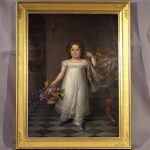 A charming full length oil on canvas Classical portrait of an elegantly dressed young girl. 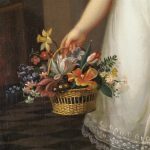 She is standing next to what appears to be a Boston area carved mahogany table holding a shawl in her left hand and a basket of flowers in her right. 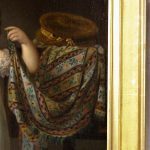 A hat is atop the shawl resting on the table. 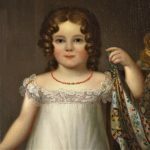 Her brown hair hangs in ringlets down to her shoulders and wears what is possibly a coral string necklace. 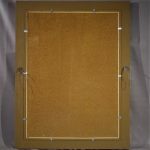 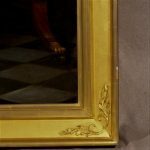 The frame is a high quality gold leafed wood replacement in the style of the period. 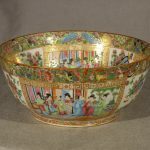 A very fine quality bowl in bright enamel decoration.